Provide your bedroom with what it's been lacking, with the addition of this Smiling Hill Bedroom Collection in Licorice. 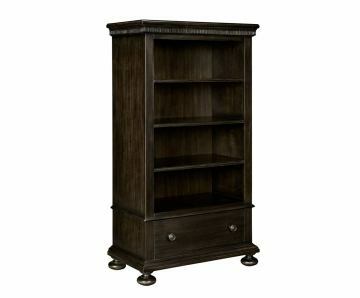 With the clean and bold Licorice finish, your decor will be enhanced by the elegant charm for any type of living space. The collection presents a casual look, perfect for any existing furniture type. This Smiling Hill Collection item features a video.